What better way to celebrate the return of Kratos than buying the Stone Mason Edition of God of War. The amount of goodies included in this edition (both physical and digital) make it a definite must buy. 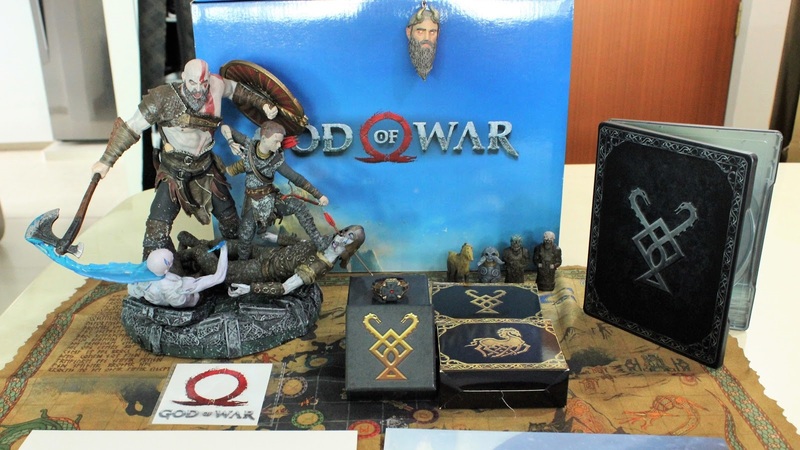 The gorgeous statue of Kratos and BOY Atreus are definitely the highlight of the package. But the digital content isn’t too shabby either, with having a digital artbook and a digital comic book of the series included. Detroit: Become Human has made quite a bit of an impact post release with its riveting story telling, which makes every playthrough different with all the choices available the player. If you haven’t gotten a copy of the game yet, getting the premium edition would definitely be a good start, as it includes an art book of the game, and the OST. With Nintendo’s announcement that the mainline Pokemon games will now be available only for the Switch, the console has now become a must have for any fan. Let’s Go Pikachu/Eevee is a Switch specified semi-remake of the Kanto region, which helps ease in the transition for the new Pokemon fans or new Switch owners. The collector’s edition is also bundled with a Pokeball Plus controller, which makes integrating your Pokemon Go account to the game, or actually gives you a reason to try Pokemon Go again! Getting a free Mew doesn’t hurt either. Marvel’s Spiderman’s devs has been hyping this game to us for months, and based on all the leaks they’ve made, they don’t disappoint, and that applies to even the Collector’s Edition, which is jampacked of awesome digital content of post game missions, and cool physical content like an artbook and a Spiderman statue that isn’t even fully leaked yet to make us hype even further. XSeed Games hasn’t really made any formal announcement (yet) on the Collector’s Edition on the Western release of Fate/Extella Link but looking at the Japanese Collector’s Edition may give us an idea of what we can expect! It would be pretty exciting if we could also get those nifty mahjong tiles.